OK I’m new to this whole world. The router bit spindle is way smaller than what the dewault router will hold. Is there an adapter or a different collar to purchase? I’m ready to cut once I figure this out! If you got the router from Inventables, they include an 1/8” adapter for the collet. It should be in the packaging somewhere, off the top of my head I can’t remember which package it was in. It works, but I would recomend buy a dedicated collet such as the Alair or the Precise Bits collet. Inventable]s sells the Precise bits one. I have both, and prefer the Precise bits one. Just personal preference. 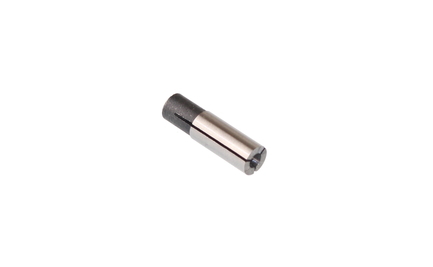 Allows you to use 1/8'' shank bits in your 1/4'' collet router. Don’t use the adapter. 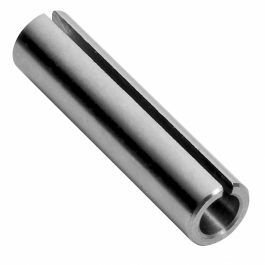 Buy the right collet for the bit you’re using. thanks guys! I stopped at home depot today and was able to get a 1/8" collet. Didnt even know it had a name! Hope to be cutting by the end of the week.